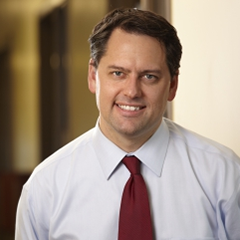 Dr. Jeff Sharman is Medical Director of Hematology Research at The US Oncology Network, one of the largest networks of integrated, community-based oncology practices in the US. US Oncology includes over 1000 physicians practicing at more than 350 sites in 19 states, and treats more than 750,000 patients annually. Dr. Sharman is also on the Patient Empowerment Network Advisory Board. The US Oncology Research Network has enrolled over 60,000 patients in about 1,400 clinical trials so far. The website offers a trial finder that will connect you with a US Oncology practice near you that has clinical trials available. Dr. Sharman is convinced that although research adds to a physician’s workload, it enlivens a practice and adds to productivity. In a video on the US Oncology website, Sharman says US Oncology found that physicians that recruit one patient per month on average are 70% more productive than their counterparts. I asked Dr. Sharman several questions about the clinical trial process and he was kind enough to answer. 1. From the physician perspective, what are the 3 biggest obstacles in the clinical trial process? 2. What is the one thing that industry/government can do to make the clinical trial process easier? Why don’t they do it? 4. What are the major positive changes that have been made to the clinical trial process in the past 2 years? 5. What is US Oncology Network doing in the way of clinical trial awareness for doctors and patients? Thank you, Dr. Jeff Sharman and US Oncology!